Luke Smith has been talking about the loot grind in Destiny, specifically how it’s going to disappear in Destiny 2 in favour of a much fairer system for both players and developers. Currently in Destiny we have a situation called the Loot Grind. What this boils down to is hammering away at every single activity until Guardians get Engrams to take back to the Cryptarch and decode. At the moment these Engrams could be anything depending on whether they’re rare or legendary. Most players prefer a legendary Engram for the loot it provides. This legendary loot could then be something that the Guardian already owns, but the grind teaches us that it might have slightly better stats, and that’s what we’re all after. Of course we also now have infusion, the process through which a player can upgrade gear and weapons with other gear and weapons of a higher Light level by combining them. This means that once players find some gear they really like, they can continually upgrade that gear as they earn other items of higher Light levels. While this is a system that solves the problem of wanting to have those perfect stats on your best gear, it’s problematic for Bungie. For example, if a particular weapon with a certain set of stats, which can be re-rolled, has a superior edge in the Crucible, Bungie need to correct the advantage in order to keep the game fair for everyone. However, correcting the imbalance requires Bungie to change the stats for all of a certain type of weapon, because no one weapon can be singled out. In Destiny 2 this is all changing. Each piece of gear, armour, and weapon is handcrafted to have specific stats and work in a certain way. This means that you’re never looking for a better version of Clever Dragon, you’re just looking to up the Light level. 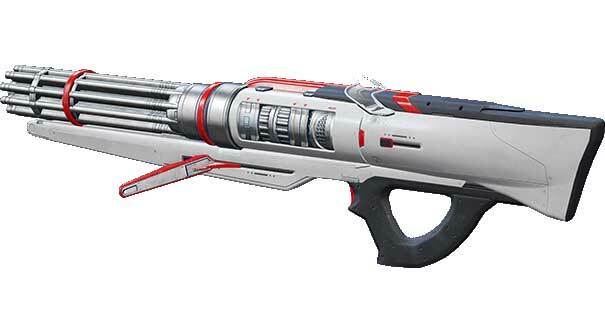 For Bungie, this means that if a weapon is overpowered or imbalanced, they can just tweak it in an update, or tweak a few other weapons to match it. This might not sound like a huge change to the game, but for Bungie it is. Now the updates they push out don’t need to nerf all of a type of weapon, they just need to nerf that one pesky weapon that’s getting in the way. This frees Bungie developers up to focus on important things, such as loot caves, the placement of collectables, and making Raids as awesome as possible.